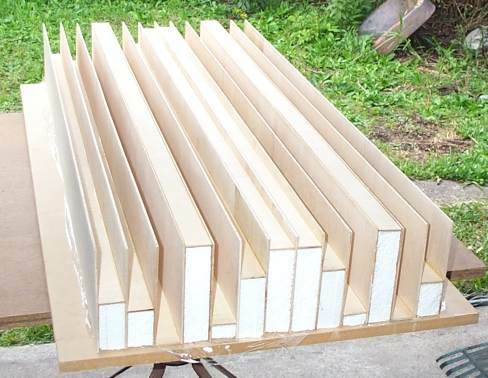 Most builds are done using a backboard, which is the easiest option, but I was keen to see what the challenges would be in building without one. This requires the maximum depth wells to use the same width floor plates as the other wells, as shown in the third option below. For the fins to hold this plate, they need to be 150mm deep. 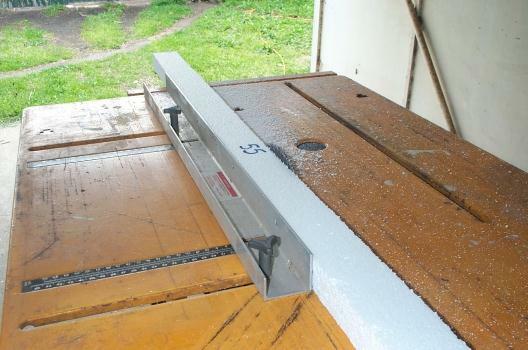 This method relies on the top and bottom endplates to provide the strength for the maximum depth wells. 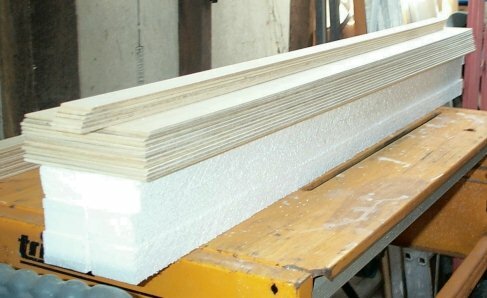 The diffusers will be cut from sheets 2400mm * 1200mm, and be 1200mm high overall. Subtracting the thickness of the endplates gives a length of 1194mm for both the fins and the floor plates. 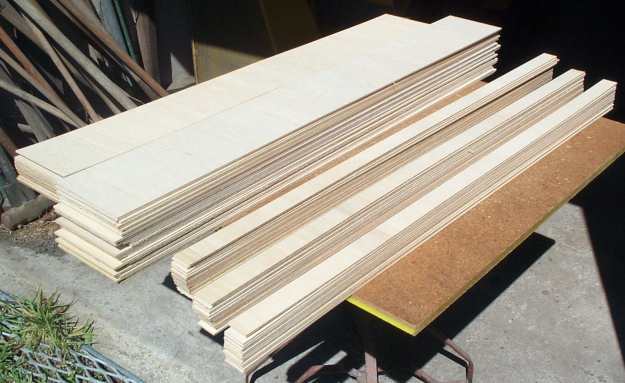 Since the plywood supplier has a much better saw than mine, I'm getting them to cut the strips. An extra fin will be ordered for each diffuser to be cut in half for the top and bottom plates. 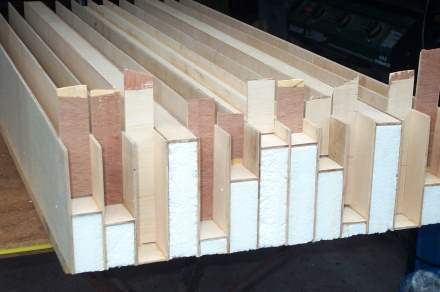 Two extra floor plates will be ordered for each diffuser to be cut up to make stiffening braces if needed. The guys at Mr Plywood rewarded me for sticking to only two sizes, doing a very good deal on the cutting charges. - I should have checked out which way the grain ran - cutting the sheets in half first and turning 90 degrees before cutting the strips would have looked better. 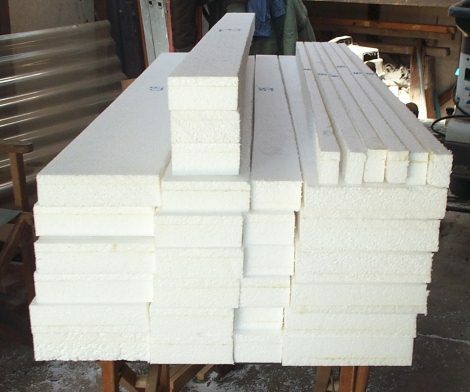 After talking to Terrry Jones, it seems that the ply may need more support, so there will be some polystyrene foam used under the floor plates to keep everything square. In fact, building without a backboard would be a nightmare if not for the foam! It turned out to be easiest to pre-build smaller sets of wells first, and then join these together later on. Give the diffusers 3 coats of polyurethane using a one inch brush. 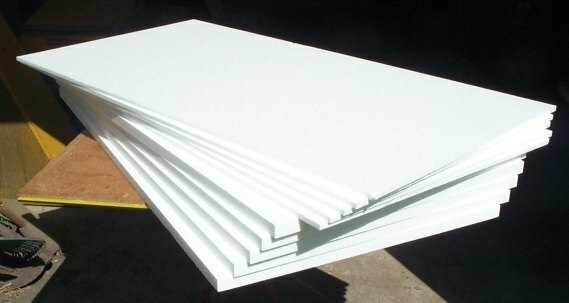 The back face of the ply is not consistent in color and quality like the front face. 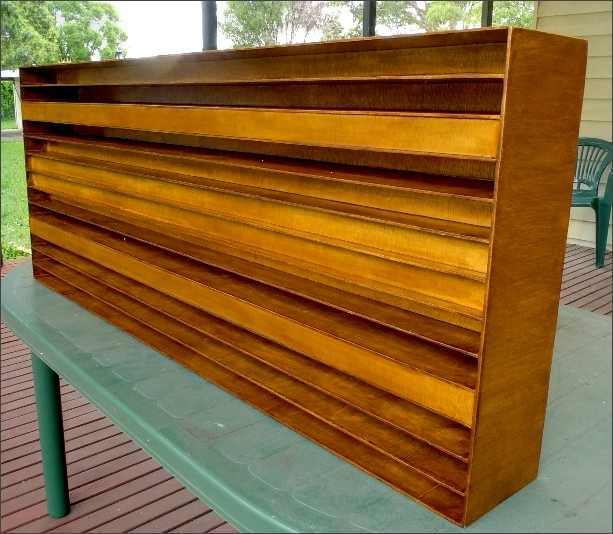 Luckilly, there aren't too many sheets with the darker timber or stained areas. These faces will be hidden by using them either side of the shallowest wells. 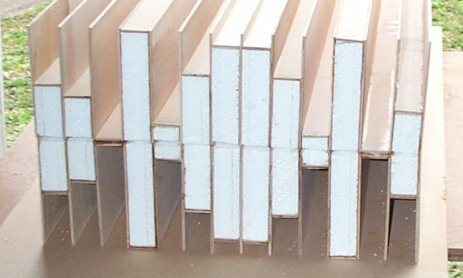 Ply was not exactly 3mm thick - closer to 3.6mm - Will not matter for well depth as this can be compensated for when cutting the styrofoam packing. The overall with of the diffusers will be slightly larger than the planned 500mm, but in the intended location, this will be OK. 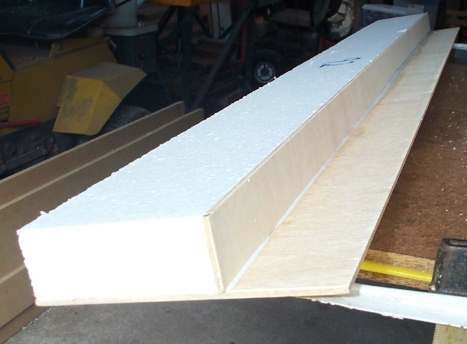 Polystyrene sheets in the exact thickness to suit the well width were not available, but combining two thicknesses gives the correct size. The new knife tended to tear the styrofoam a bit, and was hard work, so a fine saw blade was liberated from a mitre saw. 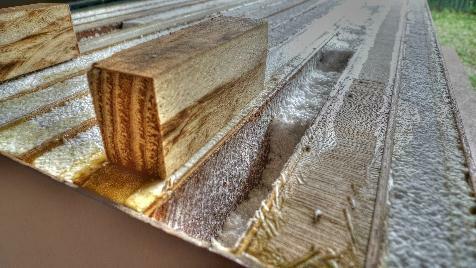 This gave a smoother cut, and could shave quite a fine amount, as was needed to trim the 1200mm sheets by 6mm. The saw table was wheeled out, and the edge that will support the well bottoms was trimmed square. 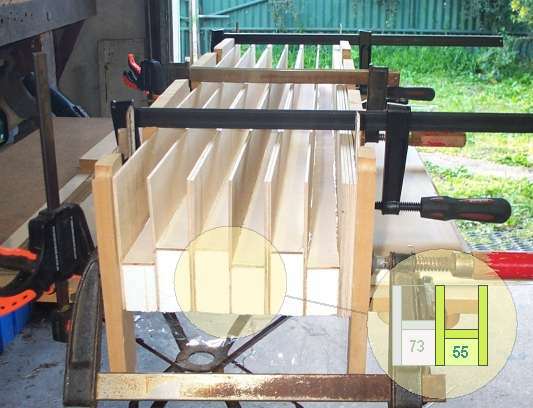 For each set of same sized pieces, the saw was set to skim the smallest piece. The remaining pieces were then fed through, giving the same height. 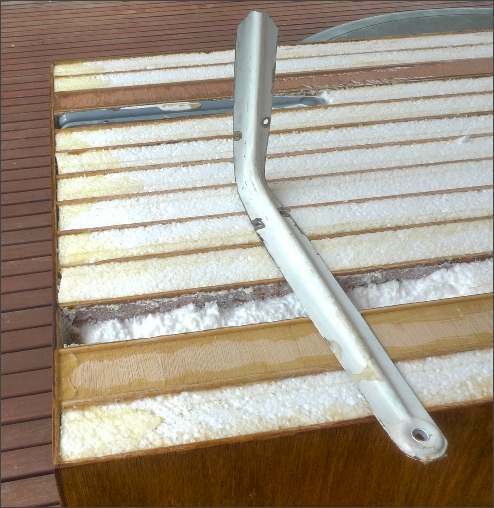 Some shims will be needed under the styro during assembly, to compensate for the loss in block height. 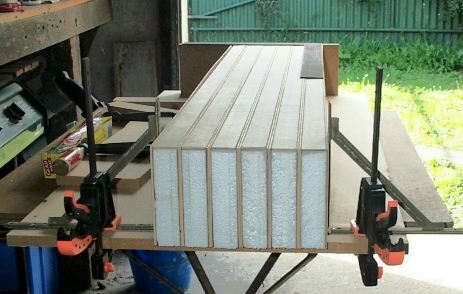 Whilst the original plan was to first glue all the floor plates to the foam, it was going to be a pain to keep the styro in line, as it had inherited a slight bend from the earlier gluing being done on a surface that was bowed. D'oh! The solution was to build a jig that would hold six equal-sized wells at once, keeping them square and aligned. 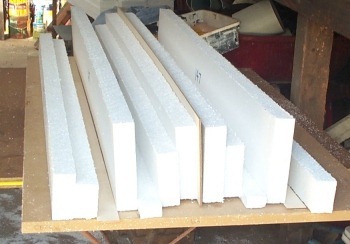 The fins and floor plates for each well would be glued onto the foam block for that well. The wells would not be glued to each other, and after drying, would be separated for later assembly into their correct positions in the three diffusers. The jig holds six blocks of foam and twelve fins. 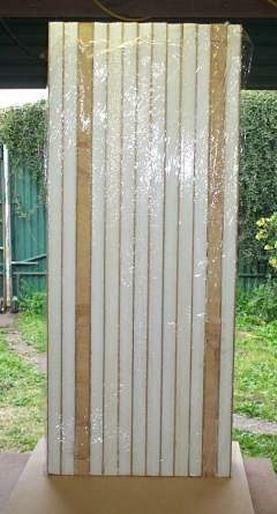 Here is the test-fit of all the zero-depth wells, for the three diffusers. Angle brackets hold them upright, whilst an end-stop keeps all the components	in line. Sitting on top is the set square that was used to position the end-stop when it was clamped. 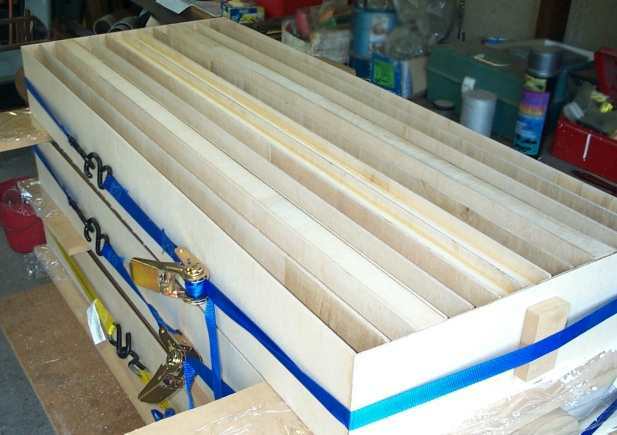 The blue set will require temporary packing	whilst in the jig, using an additional nine fins, so it needs to be done before all the fins are used up. Its floor plates will be added at final assembly time. Because there is no backboard, and no rebated endplates to hold the fins in place, it will be much easier to assemble the diffuser from these pre-built blocks than to try and glue everything from scratch in one session. Firstly, some sandwich plastic is laid down on the work surface to stop the glue from sticking to it. With the floor plate on, the glue can be applied for the second fin. Again an extra bead of glue is run next to the exposed edge of the floor plate, and then brushed onto the edge. The second fin can then be added, and the assembly dropped into the jig for alignment. 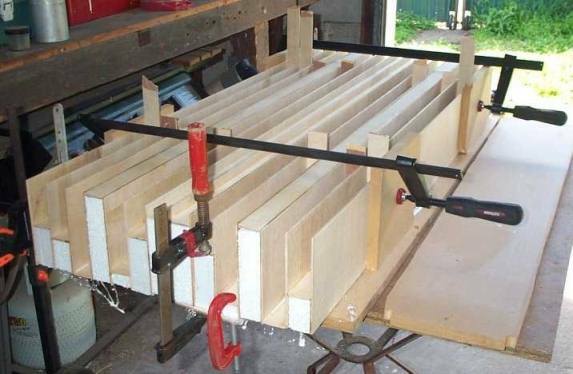 When the entire set is glued up, clamps are used to hold everything parallel. (not so tight as to crush the foam). Leave for 24 hrs. Sets glued together. 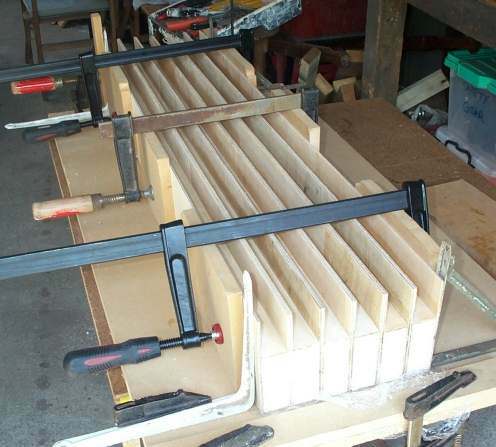 The smaller clamps in the foreground were used to pull a warped floorplate into line. 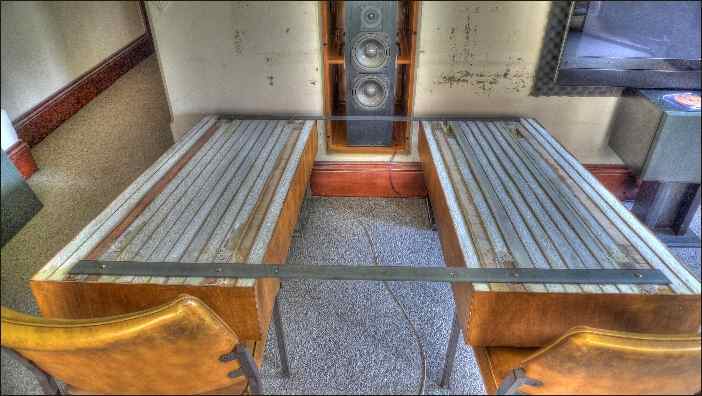 Some spare floor plates were broken up and used as packers during clamping. 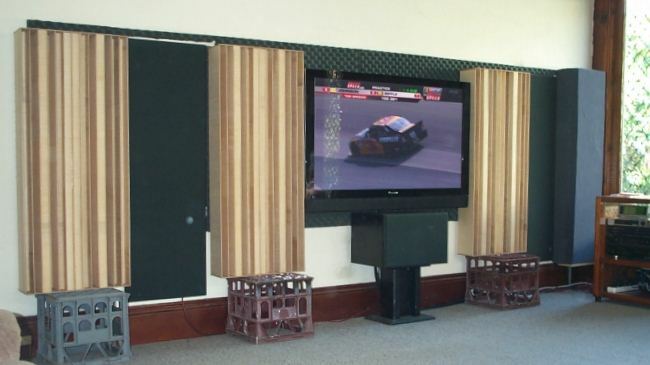 The packers hadn't been thought of when building the sets, or assembling the first diffuser. Here is the first one sitting on top of the second one. You can see that the fins on the right end aren't quite at the proper angle. Not a huge problem here, but definitely something to watch out for if you opt for this build method. Carefully stood up...and then turned around. The plastic will come off now to give the residual glue a chance to dry. A plastic drinking straw taped to the glue nozzle allows the deep wells to be sealed. The original intention was to use brackets mounted to the wall using expanding plug screws. 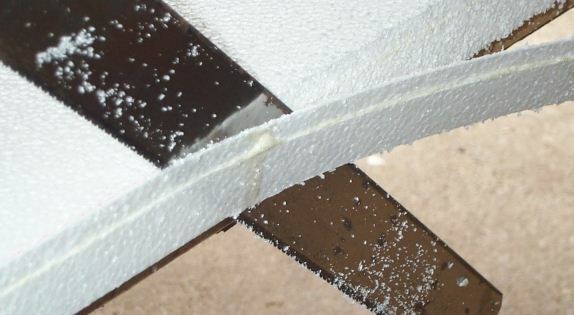 The diffusers were to push over the brackets, deforming the styrofoam, giving a firm flush mount. Unfortunately, the lath-plaster walls of the house weren't strong enough to take mounting plugs for the brackets, so a new approach was needed. Flat steel plates were mounted across the IB manifolds, behind the grilles. 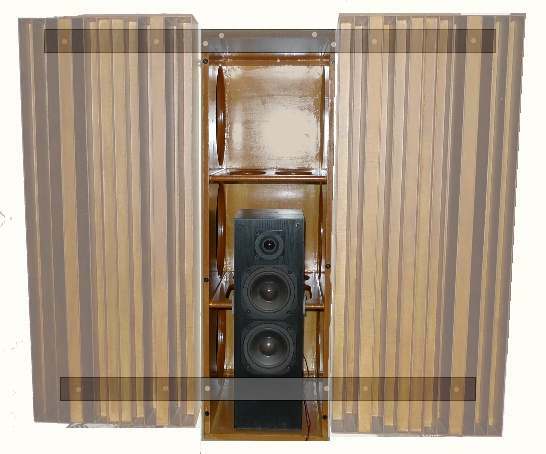 Wooden blocks glued into the back of the zero-depth wells allow the diffusers to be mounted using screws through the plates. Use thicker endplates. Route slots in them to accept the fins and the well bottoms. 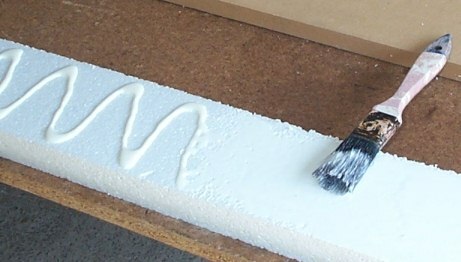 Glueing the ply to the styrofoam used a huge amount of glue. Do away with the styrofoam and build them face down. This puts the glue on the back where it is not visible. 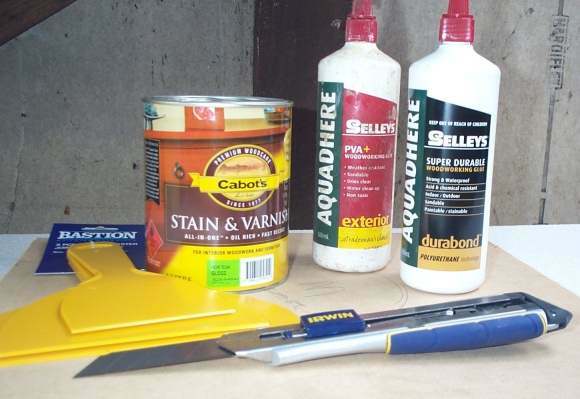 Use temporary blocks keep the well bottoms flat during glueing. Apply the stain / clear or whatever before cutting the sheets. Touch up after cutting. This means normal PVA cant soak into the grain, so go for something like Gorrilla glue (Aquadhere Durabond here in Australia). A low-sheen finish doesn't show the gluelines like a gloss finish does. 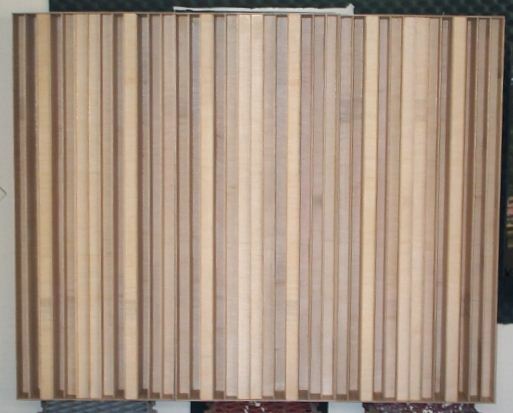 The 3mm luan ply was nice and rigid - more so than MDF would be, however the quality of the back of the ply is not as good as the front, so some alternative would be worth looking for.